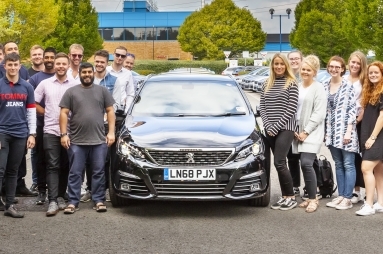 Advantage Smollan, the global outsourced sales and marketing solutions provider, has taken delivery of a fleet of 50 PEUGEOT 308 SW models for use by the company’s REL Field Marketing team. PEUGEOT won the contract to supply the vehicles from a competitor that has supplied REL Field Marketing for the past 10 years. The cavernous boot size, extending from 660-litres with the rear seats in place to 1,775-litres with the rear seats folded, proved to be a winner for Advantage Smollan. The “Magic Flat” 60/40 split rear seats can be folded flat at the touch of a button from the boot. Safety features were also important for the company. Safety and security equipment for the GT Line specification models includes front, side and curtain airbags, LED headlights, PEUGEOT Connect SOS and Assistance, reversing camera with 9.7-inch colour capacitive touchscreen and parking sensors front and rear. Power for the Advantage Smollan PEUGEOT 308 SW GT Line models comes from one of the latest and cleanest diesel engines to power the PEUGEOT range, Groupe PSA’s downsized 1.5-litre BlueHDi 130 engine with stop and start technology and six-speed manual transmission. The BlueHDi 130 engine made its debut in the 308 range in 2018 and meets the stringent Euro 6.2 emissions limits. SCR AdBlue® technology ensures that NOx emissions are the lowest possible. CO2 emissions of 100g/km ensure that benefit-in-kind taxation for the drivers is also low. The cars will be run on a three-year contract hire agreement with maintenance, covering some 25,000 miles per year. 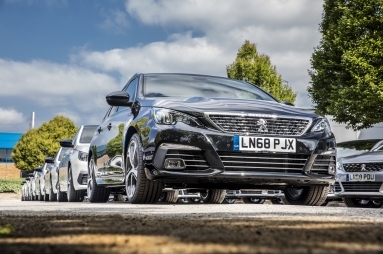 “The style and practicality of the 308 SW has clearly proved a winner for Advantage Smollan, along with the high level of safety and security equipment fitted to the cars as standard”, comments Martin Gurney, Groupe PSA UK Fleet Director. 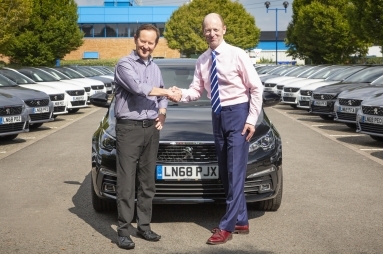 “Winning a fleet order from an established competitor is terrific news for PEUGEOT and we are delighted that the PEUGEOT 308 SW matches Advantage Smollan’s requirements so closely.